This project aims to design a guidance system for land vehicles that can be able to work both indoors and outdoors, handle different materials. Certain failures may appear in any of its components (sensors, actuators, communication system ) during their work environment and the operation has to be safe. The main objective will be to avoid any deadlock in the performance of the vehicle, during a degraded behavior of the system. In order to fulfill the previous requisites, we propose a route guidance system that integrates automation and teleoperation with some autonomous capabilities, where the security is crucial aspect. 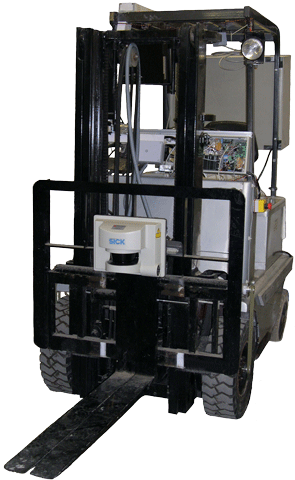 In those activities with a high degree of complexity or risk, or where we need certain skills (such as loading and manipulate different materials), the vehicle can be operated by an operator from a local station, as UGVs.